This message, heading up the Facebook page of Gerry Terati Lyons, is still true except for the last two words. Gerry Terati Lyons? That’s Gman, as he is known to countless people around town, friendly, smiling, helpful, a laugh a minute, last year’s Centralian of the Year, and the face and sound of CAAMA Radio. Until his shock resignation as station manager yesterday, that is. A source speaking on the condition of not being named says CAAMA is implementing an “Aboriginalisation” program and non-Aboriginal people will get the heave-ho. If this is the case then the white, long-time news editor, Paul Wiles, will be among those next to go. 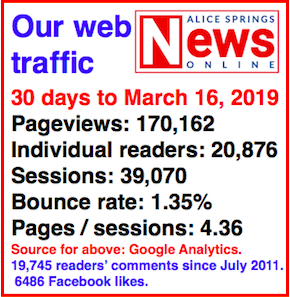 The Alice Springs News Online is seeking comment from the CAAMA management. 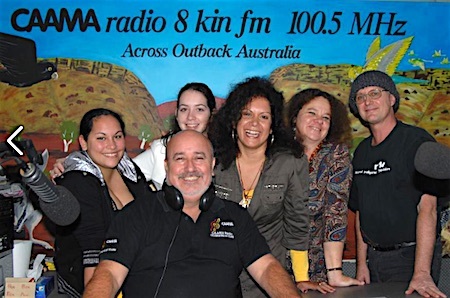 According to its website, CAAMA, the Central Australian Aboriginal Media Association, came to life in 1982 with the establishment of radio station 8KIN FM. Any purge on the basis of ethnicity is unlikely to spread to Imparja: Although CAAMA holds a majority (13) of Imparja’s 23 shares, plus one in trust, it cannot impose its will on the Aboriginal-owned TV station because under its rules, board decisions have to be unanimous. Only 15% of Imparja’s 30 staff are Indigenous (scarcely better than the ratio at the Town Council). Imparja’s other shareholders include the Northern and the Central Land Councils, Top End Aboriginal Broadcasting, and Yuendumu-based PAW Media. Meanwhile Imparja CEO Alistair Feehan – also non-Aboriginal – is full of praise for Gman: “He just worked tirelessly on the development and growth of the radio station. “His radio presence was extraordinary. “He managed to assemble great radio guys around him. I hope they have the people there to continue to deliver,” says Mr Feehan. This is what Gman told his Facebook friends yesterday: “It is with a sad heart and great memories that I have resigned from CAAMA [after] 16 years of which six were as a volunteer. “I have totally loved this job and am proud of what has been achieved over these years. Great staff past and present and the remote engagement has been awesome. “Jim Remedio, Paul Wiles and Warren H Williams were there from day one and I thank them for their support of me. “I have been the longest station manager CAAMA has had and I am proud of what has been achieved in this time. 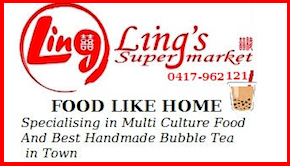 “To be from another culture and welcomed by Aboriginal mob far and wide has been amazing. It is what drove me to stay. “The last few months have been difficult but I am a stronger person for experiencing these events,” wrote Gman. “CAAMA Radio has a dynamic news team like no other. 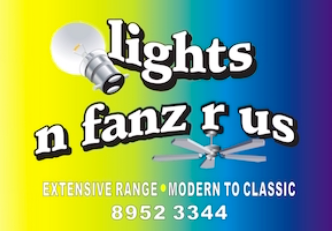 “Paul Wiles you are such a professional in all ways and always put CAAMA first. RESPECT! 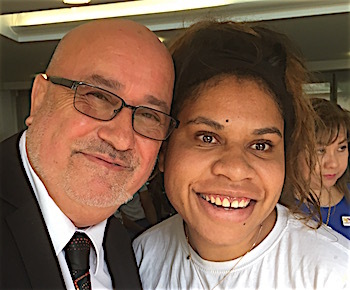 IMAGES: Gman with Young Central Australian of the Year Cindy Uzzell (Alice Springs News Online photo) • In the CAAMA studio • Gman in the foreground, behind him Senator Malarndirri McCarthy. Paul Wiles is at right. Just overheard a conversation at Montes which adds some real spice to this story. It seems the truth is yet to come out about all of this muck at CAAMA. Someone on the board has been talking out of school about individuals who currently do and recently have worked at CAAMA and it was certainly hot news at Montes. I really feel for the existing staff there, especially the targeted ones. Sorry Desert Rat, I cant work at CAAMA while also working at Brisbane. It was public record that Karl Hampton was the chairman. As a Labor lady I know what is going on around the place. People talk. I listen. People raise an eyebrow and talk, I listen even harder. That is what’s happening now. Brassie Babe or Brissie Babe or whoever you are. I am not on any board for any Aboriginal Organisation and don’t have anything to do with CAAMA. I know of three or four people on that board, and I can assure you that I am not one of them. Why would I be trying to put some “feel good” in for the board? You seem to know a bit more … I didn’t even know Karl Hampton was the “former” chair, until today. Maybe you should spill the beans on what you think you know, of the whole story. I’m only going on common sense and “The Grapevine” but you seem to have “inside knowledge”. Maybe employed at CAAMA and trying to knife someone in the back? Desert Rat – you seem to have some inside information when you know that he chose to leave and was not pushed. Are you sure you are not a Dorothy Dix trying to put some counteractive feel good messages out there on behalf of the board? You sound very adamant about your information. Come on Desert Rat. Spill the beans as to what you know and how. Perhaps the former chairperson, Karl Hampton, should be asked for comment on all of this? Is it out Erwin, Jobs for the Boys, heard last week the chair. @ Peter Ross: Yes Gman has had to fight for his existence at CAAMA since he started. Discrimination against him was shocking, yet he stayed and fought for 16 years. Maybe Desert Rat, after 16 years of fighting for his rights and continuing to lift the image of CAAMA Radio both in town and to the rest of Australia has had his toll and he can not keep fighting a board who do not support him. Take a look at what he has done and where CAAMA has come. How can the board and its management without a permanent CEO make such a decision? Instability is not what is needed. By the way, what is happening with the CEO position, who takes that on, wait and watch this space I suppose. Job for the boys I’m hearing. There is a lot more happening than what Gman is saying and it is going to come out. Then there will be many people out there with egg on their faces. Come on, Gman, start telling the truth. Brissie Babe: For your info, I am not a board member of CAAMA, or any other organisation. If you think you know the truth, then let us all know so as everyone can be settled in their finger pointing and laying blame. I don’t really think you know the truth. And I do agree, he did work tirelessly and I did say earlier, that he did a fantastic job, but in the end, it was one man’s decision to resign. He was not asked to resign, but chose to. What a shame that CAAMA has forced Gman to leave his post. He has trained, mentored and cared for countless Aboriginal and non-Aboriginal staff over his career. He never discriminated. He has worked tirelessly to ensure CAAMA is held in high esteem, and he always put CAAMA first. The CAAMA board, including the recently former CAAMA chair, should hang their heads in collective shame at not only Gman’s exit, but to the forced exit of others leading to Gman’s resignation. There will be others also forced to leave. The commercial ramifications of these decisions will put more pressure on government funding reliance as commercial sponsors distance themselves from CAAMA. Such a short-sighted shame, CAAMA board. They should be named and shamed – including the recently former chairperson who should be held responsible for the mess. Ps: Desert Rat – you have no idea of the truth, or perhaps you are a disguised board member? Really people … there are people resigning from their employment on a regular basis around the world. This man chose to resign from his employment. What is wrong with that. Have you bothered to think of the reasons why he decided to resign? I’m sure he wasn’t pushed. Yes he did a fantastic job on radio, yes he was well known for that around the country, but in the end, he chose to throw it in. There is no such thing as “Aboriginalization” within CAAMA. 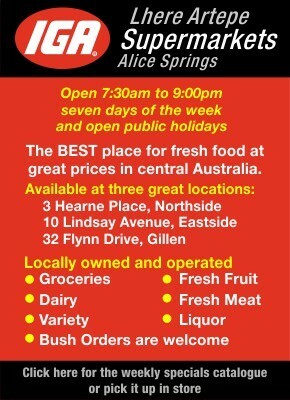 Go and check how many non Aboriginal people, or “fair skinned” people are employed there. Don’t just throw blame where it may not be deserved. Gman, plenty of opportunities in Darwin, you would only have to sit in their studios and the conversation would become intelligent. Some of the dribble we have had to endure of the last couple of years beggars belief. 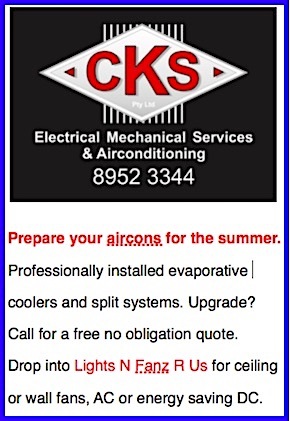 Apply in Darwin. Shame job CAAMA. Surely CAAMA’s raison d’être is to train Aboriginal people with a view to offering full employment or at least make them employable to other media organisations. If, after about 30 years, CAAMA and other Aboriginal organisations, have failed to train and keep Aboriginal employees to the point where they can’t function without outside help, then there is absolutely no point in funding them. Morena. Your statements above say all that needs to be said. What an unmitigated tragedy for the Centralian community: CAAMA! As the Australian community strives to reach a point of reconciliation, recognition of and acceptance of equality, you have scored a mighty own goal. In one foolish move you have succeeded in pushing from your organisation one of equality’s mightiest warriors! In his place … a mighty hole called division! You should feel shame, CAAMA. As a Centralian I am ashamed of you for failing to understand that acceptance or rejection on the basis of skin colour, no matter what that colour might be, is not only divisive, it is racism! I have worked with Gman in a professional capacity a few times, and that’s what he is, professional. A shame when an organisation like CAAMA fails to realise that a person’s worth lies what they do, not the coulour of their skin. His name was known throughout Aboriginal communities of Australia, and they all, regardless of their skin, or country, or language, had one thing in common, their respect for Gerry. People across the CAAMA radio network had no idea what his ethnicity was, all they knew was that he was a voice full of enthusiasm, who empowered many of their own countrymen to embrace and master a technology that brought them closer together, and allowed them to share culture, music, stories and fun. How many Aboriginal people got their start on radio thanks to this man’s wisdom, patience and direction. Great work Gman. Keep on Rockin, my friend! CAAMA, you have just widened the gap. Shame. Can anyone imagine the outcry if a firm in Alice, or anywhere in Australia for that matter, declared a policy of de-“Aboriginalisation” and sacked all its indigenous staff? I reckon they would be spun into court so fast that whiplash would be the least of their worries. If this is true, it is simply shameful. But coupled with the “Special Measures” that the NTG has implemented for jobs with government it is not surprising. Sad to see Gman fall on his sword. I think he is protecting others. Must be big politics. Who is the board? He will be greatly missed though. There should be more Aboriginal people there and something needs to be done to remember what CAAMA was supposed to be about. I hope that Imparja gets a look to honestly what is it doing now? Its saddens me to see what has happened to a great motivated man Gerry one who loves the people but loved what he does. Also, wherever he went he befriended a lot of people as he’s a peoples’ person. He loved and cared about them like family. I read all the reviews and felt really humble what people had written about him. I have been a listener for those 16 years when Gerry did the Maori broadcasting on a Sunday and thoroughly enjoyed it with Uncle Honi, Lady Di, Angel and the Gman. He has improved this station up to what it is today and I really don’t think it will be the same without him. Gerry brightened our days up with his humour, chatty ways and his laugh on the breakfast show. It brought tears to my eyes to read what my Brother had written after all those years that he had dedicated to CAAMA and the people far and wide, and yes, came into our homes and hearts. I am one proud sister and to me you are certainly a legend. You will achieve more in your life and give 100% and some on your next achievement we as family support you always in what decision you make for the future. Thank you always for keeping us in touch on the airways. Thinking of you. NADIA AND THE FAMILY. Love and God’s blessings always.